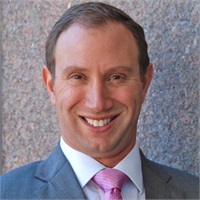 Brian Stein is the President and Chief Wealth Strategist at Beacon Private Wealth Management (“Beacon”) located in Denver, Colorado. Brian’s diverse financial experiences set him apart from other advisors. His clients receive honest and factual advice across the complete spectrum of investable assets including non-traditional investments. While the investments “fuel” his clients’ plans forward, Brian’s approach to comprehensive wealth management also considers blind-side protection (insurance planning), wealth transfer strategies, and liability analysis and optimization. Brian and his team provide all four pillars of wealth management to help clients reach their life’s goals. Before starting Beacon, Brian was a Financial Advisor and Financial Planning Specialist at Morgan Stanley. Brian developed comprehensive wealth plans for successful individuals and high-net worth families. His investment approach included strategies used by large institutional investors aimed at reducing volatility and improving risk-adjusted returns. Prior to Morgan Stanley, Brian was a Vice President at Sturm Financial Group, a bank holding company in Denver. Brian successfully resolved a substantial portion of Sturm’s distressed loan portfolio during the depths of the Great Recession. He pioneered a consultative resolution approach that aided loan recoveries for Sturm, but more importantly, kept many Denver small business owners from declaring bankruptcy. Before Sturm, Brian was as an executive with the Miller Frishman Group. He was integrally involved in building the company into one of the region’s premiere commercial real estate workouts firms. Brian joined the Miller Frishman team after completing his Masters in Real Estate and Construction Management from the University of Denver. Between 2003 and 2010, Brian managed an investment portfolio for a significant Family Office. Using a variety of institutional trading strategies, Brian directed the investments and managed risk. Over the eight-year period under Brian’s leadership, the portfolio consistently beat its benchmarks. Before being asked to run the investment fund, Brian was an Investment Banker at ING Barings in New York. Brian and his team helped companies raise money through public and private equity offerings. The group also executed M&A transactions for media and technology companies. Brian’s career started in 1996 as a CPA with Deloitte & Touche in New York. His accounting foundation was built during his four years as an undergraduate student at the University of Michigan. Brian is a fourth generation native to Denver and is committed to help shape the City’s future. His work in the community included six years as the Treasurer and Board Member of the Civic Center Conservancy. Brian played a significant role in taking the organization from a start-up to a self-sustaining non-profit. Additionally, he is an active alum of the Metro Denver Chamber of Commerce’s Leadership Denver program. Brian, his wife Amy, and their two children live in Greenwood Village. His many interests include skiing, golf, theater, and live music. He’d like to learn to fly an airplane one day, though his life insurance carrier may have something to say about that.